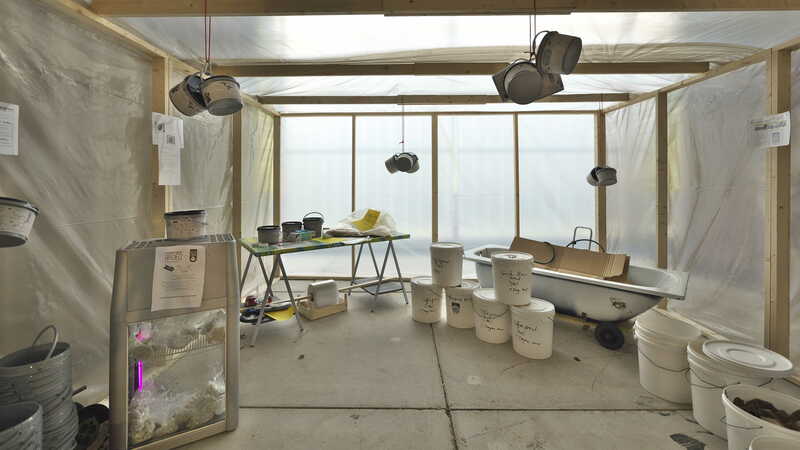 In p0rtaal De Zwammerij closely collaborates with Superuse Studios to re-use a waste cycle inside the new office of DUO and Belastingdienst at the Kempkensberg in Groningen: 400 kilograms of coffee-grounds per day! 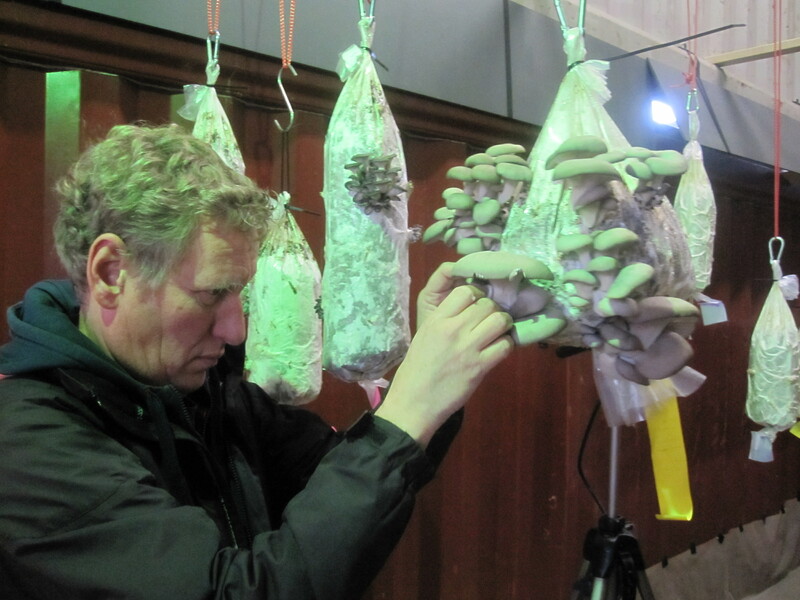 De Zwammerij uses coffee-grounds to cultivate oyster mushrooms, which not only can be tasted during the exhibition, but will finally be part of the menu of the ‘cruise ships’ company restaurant. 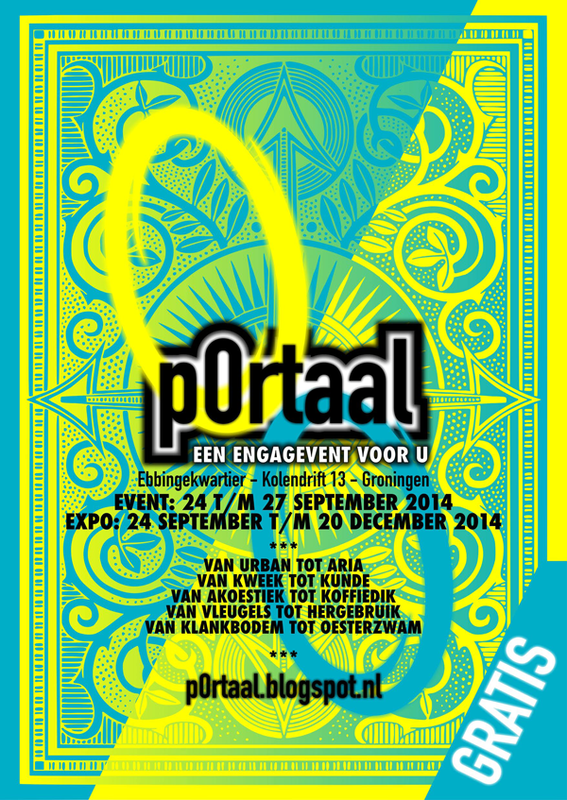 In the exhibition De Zwammerij presents the first testLAB of the cultivating farm of oyster mushrooms. 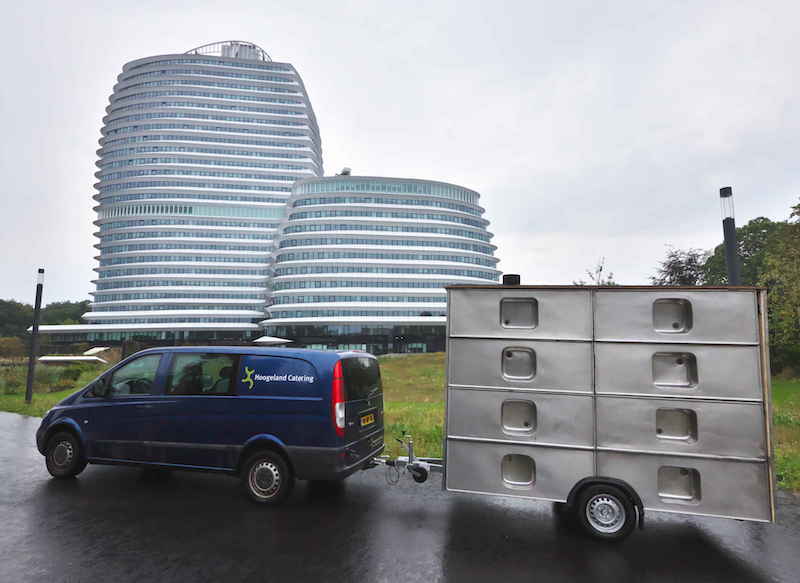 Superuse Studios develops especially for p0rtaal the Zwammobiel, created of used materials, like countertops of steel. 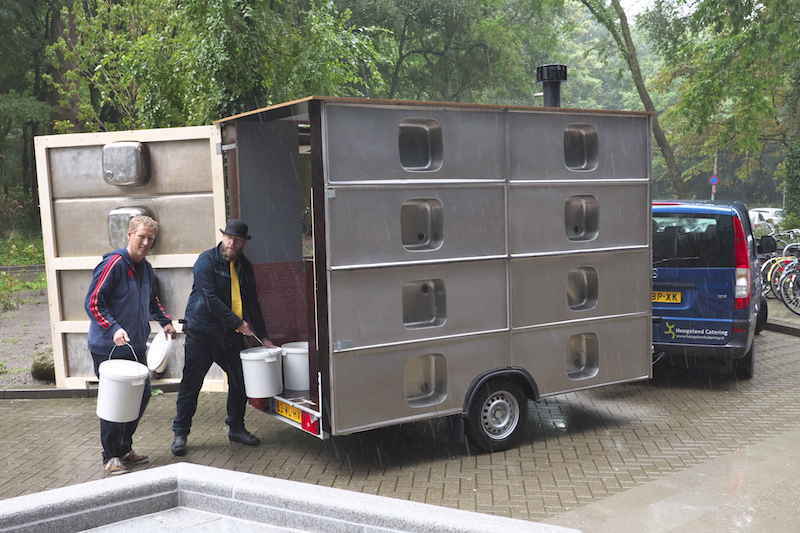 This mobile wagon is used for the transport of coffee-grounds from the Kempkensberg to De Zwammerij and for preparing and serving of oyster mushrooms.